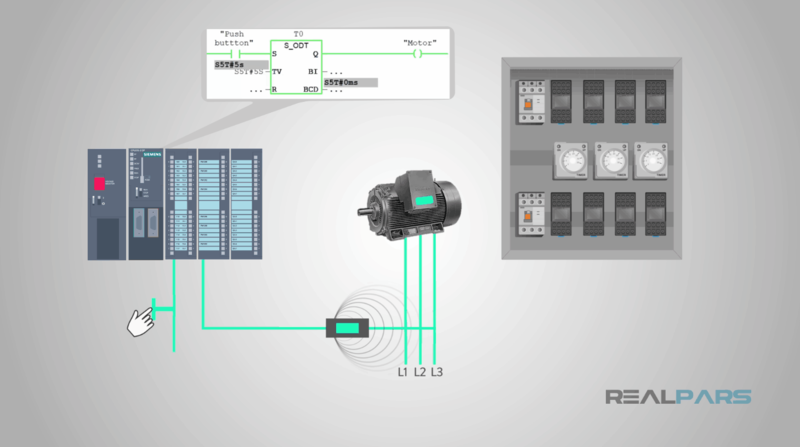 WHAT are the advantages plcs have over relay system? 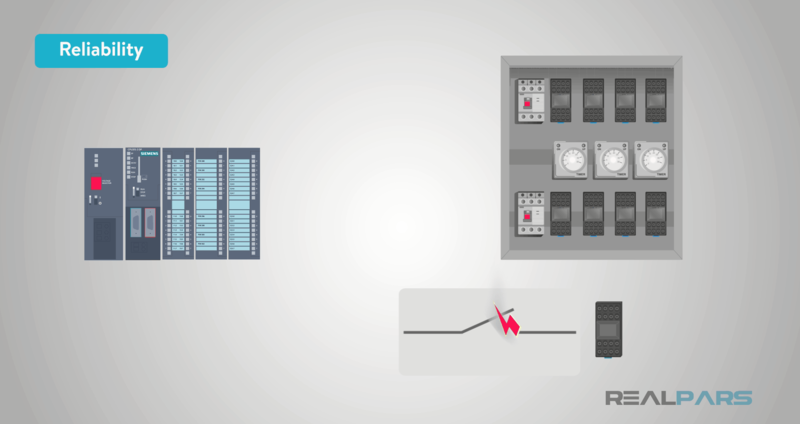 Learn about some of the advantages that PLC systems have over a relay system. 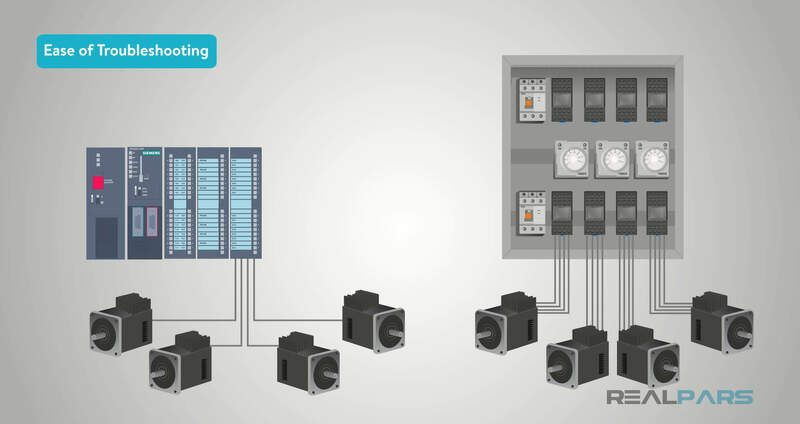 There are many advantages that a PLC system holds over a relay system. Today, we will dive into some of those advantages. One of the first and simplest advantages is reliability. The internal relay systems of a PLC are solid state. This means that the relay function is not mechanical like conventional relay systems and components. Traditional mechanical relays wear out much faster than the electronics in a solid state relay. Every time a mechanical relay opens and closes, the contacts will arc slightly. The arcing can eventually destroy the contact. This is simply not the case with the solid state type relays found in our PLC systems. Another advantage of a PLC system is the ease of troubleshooting. 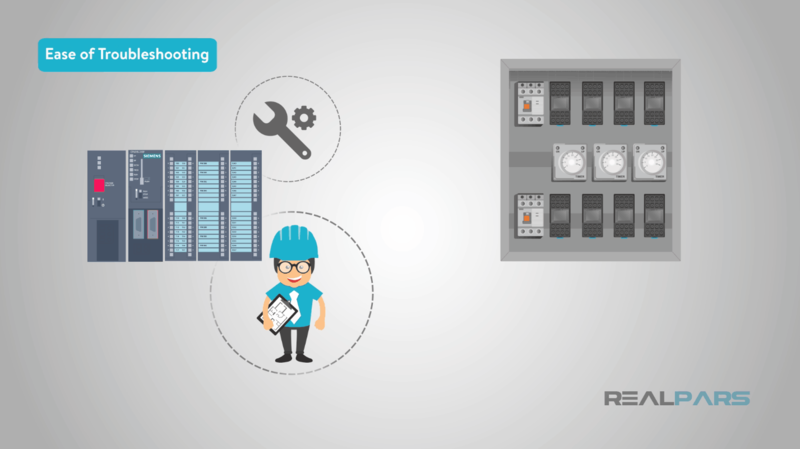 In a PLC system, a good technician can read through the programming and usually figure out what is and isn’t working. In a relay system, there will be several more wires plus the relays and possibly other components that aren’t needed in a PLC. 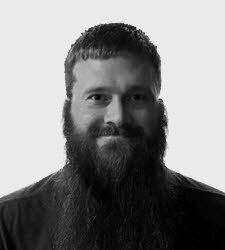 This makes finding problems much harder. Each physical relay needs a minimum of four wires to operate and function. A relay output card on a PLC sends out one wire to the output device. 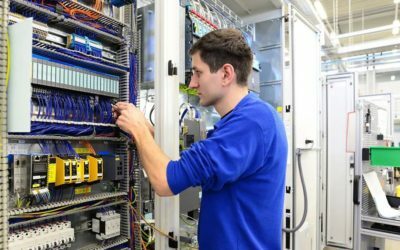 You can only imagine how much easier it is to troubleshoot the PLC system with multiple outputs versus the relay system with four times the number of wires. One of the best features that a PLC system has over a traditional relay system is versatility with the programming and easy expandability. For example, if you wanted to add a timer to make a motor turn on after five seconds, you would just add it to the program and set it to five seconds in the PLC. 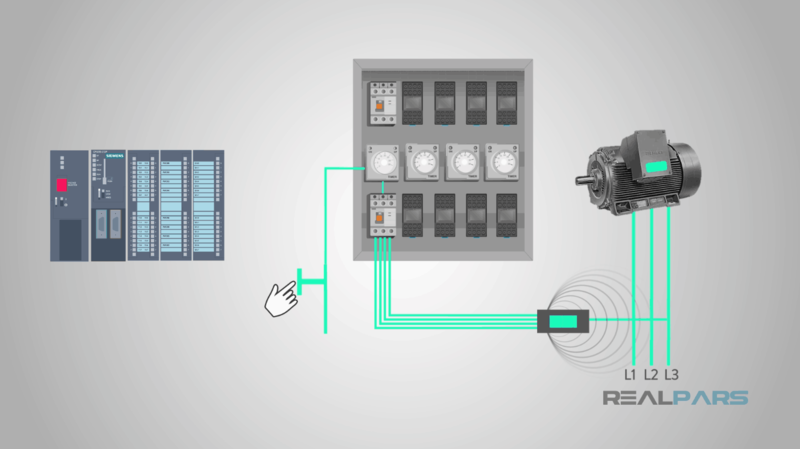 For a relay system, you would have to add an entirely new physical component. On top of that, you would have to add all of the proper wiring to make that timer work for the specific motor. This also makes expanding a system much cheaper. Not only for component costs but labor savings as well. If you have a relay system, someone will have to be paid to install a wire all of the new components. 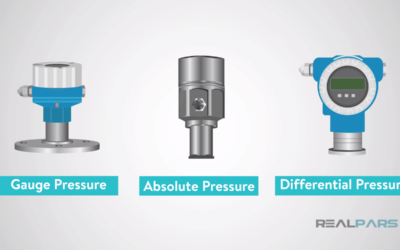 The physical size requirements of a PLC system are far smaller than a cabinet needed for relay logic circuitry. Most of the physical relays, timers, counters, and controllers from a relay logic system are all contained in the PLC itself. 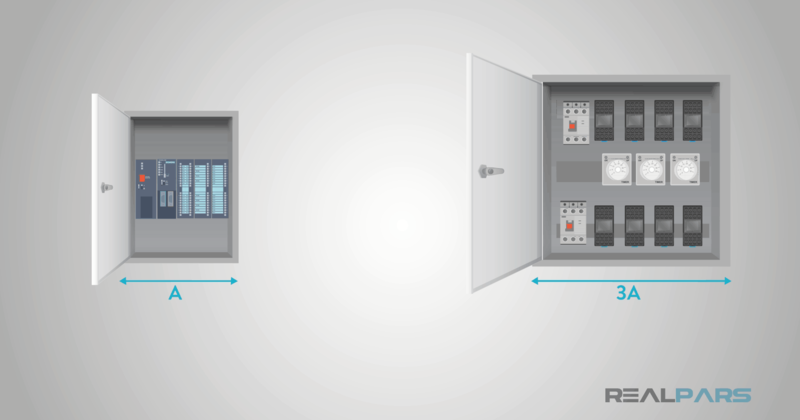 Depending on the machine, a cabinet containing the PLC can easily be a third of the size of a relay logic cabinet. Possibly even smaller. Let’s look back at what we now know. PLCs are much more reliable and are way easier to troubleshoot. The mechanical functions of relays simply wear out over time. 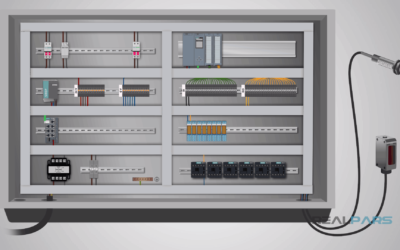 Plus, the wiring required to operate a relay system is much more complicated than a PLC system. This can also cause higher costs to install and upgrade due to extra labor costs. One of the major advantages is the versatility of a PLC with its programming and internal relays, timers, counters, among other features.